We carefully select restaurant quality wines, beers and ales, alongside a fine selection of top quality spirits. You will find old favourites along with some of the best local tipples the region has to offer; from the Lakes Distillery gin, whisky and vodka, to Carlisle Brewery ales. We are continuously adding to our lines and because we work hard to bring you the best prices and offers, it’s always worth checking out what’s in-store. 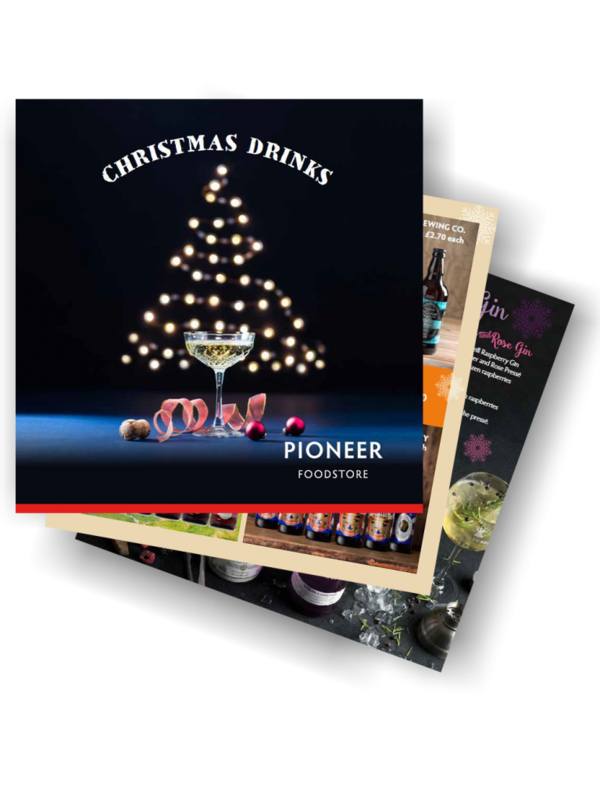 For lots of great deals on a wide range of alcohol, see our Christmas Drinks leaflet now available at our Rosehill store or click on the leaflet below. Our premium range of wines has been meticulously selected by wine connoisseur Pippa Sedgwick, therefore you can be assured you are buying the best. Visit our Rosehill store to see which wines are available. Find out more about Pippa Sedgwick wines here. We often arrange tasting days in our Rosehill foodstore giving you the opportunity to try before you buy. Look out for dates in our Latest section and keep up to date via social media or our newsletters.